Brand identity for salon aiming to deliver the most exquisite and sophisticated modern sanitary ware, bathroom furniture and ceramic tiles to Siberian region. 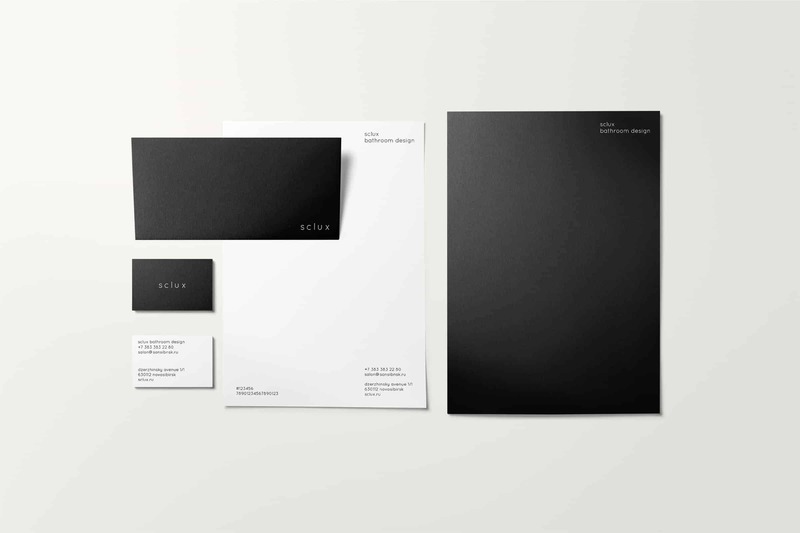 Distinctive features of their corporate identity were to be respectable, restraint and laconic, reflected in dark colors and using a soft letter style. The main task of branding was the combination of modern minimalist design, which looks fresh in our days both in print editions and in social media, and strict design mainly in dark colors to attract a more senior, conservative and solvent audience. The main source of inspiration was restrained and laconic lines of the Quicksand font, which I turned into the company’s logo with the help of Adobe Illustrator. For social networks and corporate website was chosen logo closed in a circle. The main thing I learned for myself from feedback on this project is that there is nothing more effective and recognizable for most people of very different cultures & generations than the time-tested classics, even if it not fully embodied in the project, but at least partially taken as a basis.